This post is all about roses. 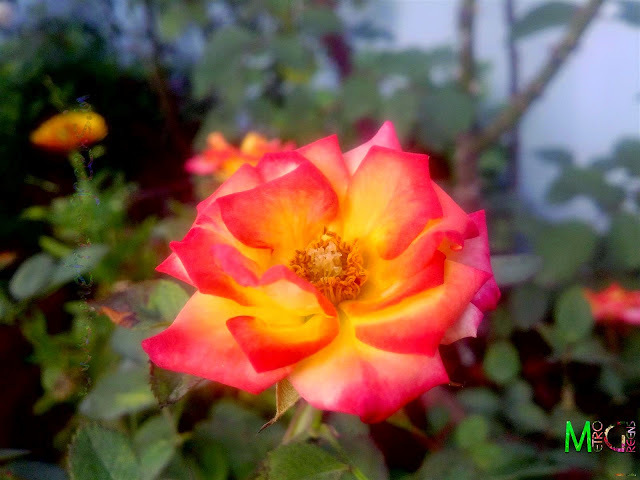 The spring season was a good time to have great blooms, and roses which have the highest population in my garden were all in blooms, in all, three red rose plants, an orange, a dark pink and a light pink, and two miniatures, a creamy white and another yellow-orange bloomed this spring. And the blooms were just as awesome as they could have been. You would believe me as you check out the pictures I'm going to share with you down. A beautiful bud of an orange rose. 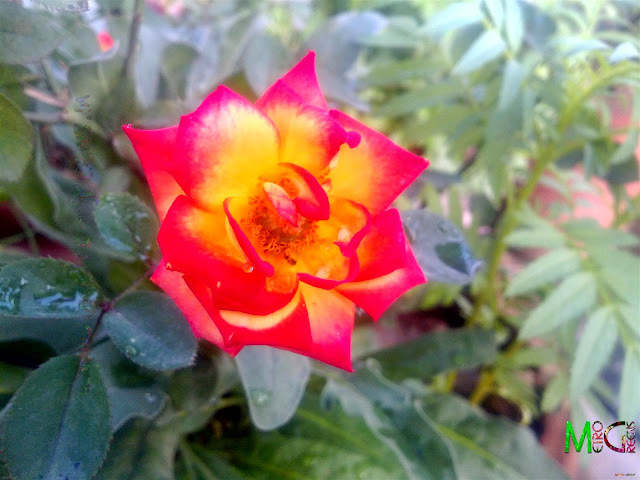 A red rose in bloom. A bunch of red roses. The pink blooms (not the light ones, the darker shade of pink, yes, the one right above) are from a plant which was planted three years back, and it never bloomed. 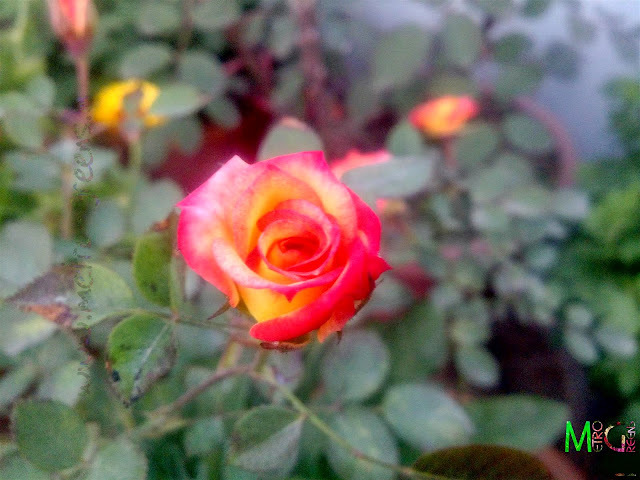 While I had got four rose plants, each of different colour, all of them in blooms, but none but one ever bloomed. So, we had to remove them to make way for new plants that promised us blooms, instead of sitting down in pots growing a bit every year. This year was however different. 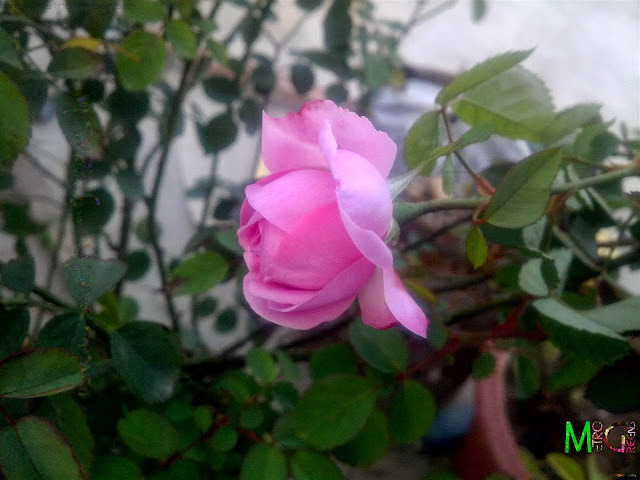 While three of the four plants I had brought died till last summer, two of them dying in the last summer itself, including the dark pink one that used to bloom furiously, and its petals used to curl backwards as the flower aged. 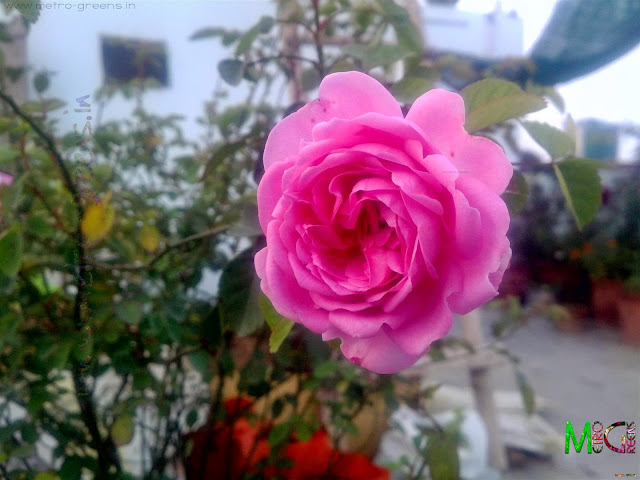 Out of nowhere, we spotted a bud, then a couple more buds, and much to our delight, the plant turned out to be one of a beautiful pink rose. The miniature white rose bloom. 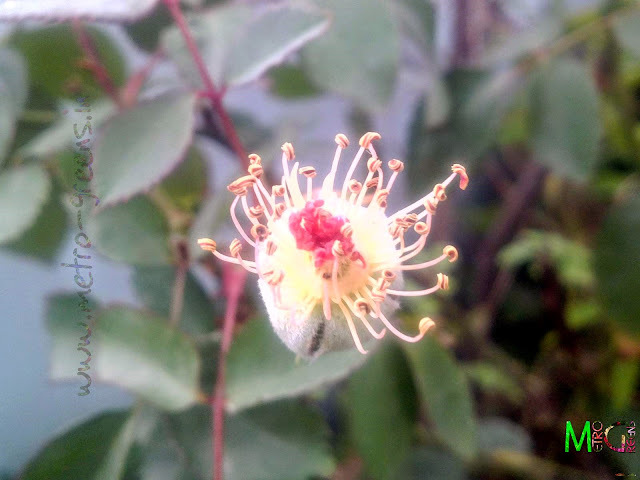 A light pink rose bud just minutes away form unravelling it's beauty. 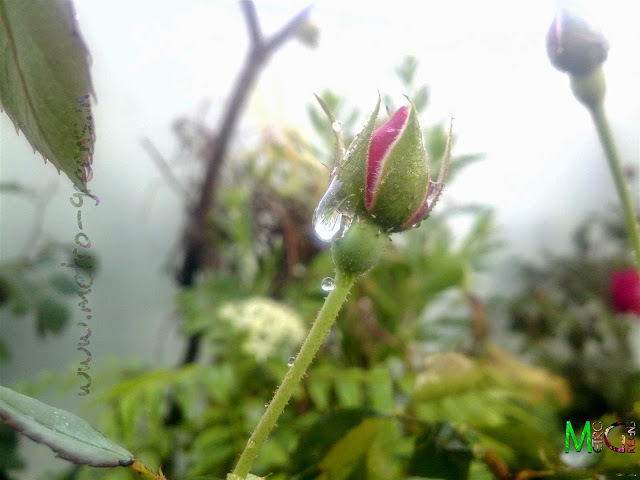 The miniature orange rose bud. 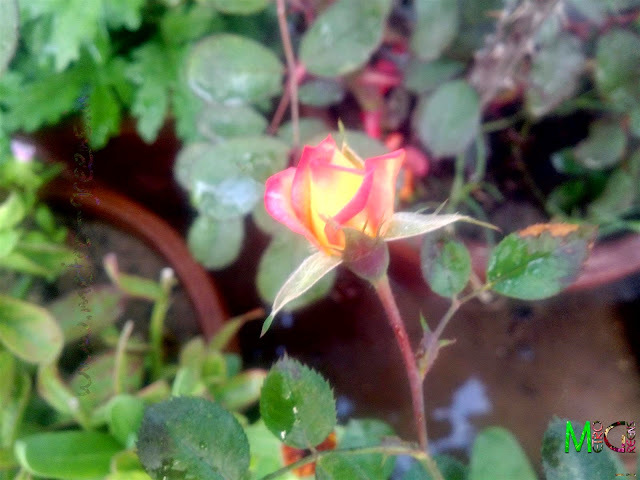 The miniature orange rose bloom. 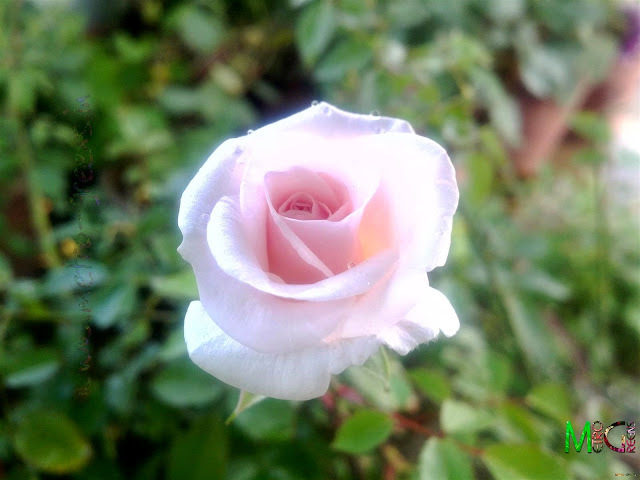 A beautiful light pink rose bud. All others are usual bloomers in my garden, though, this year, my orange rose too bloomed a lot, having three new stems growing right out of the roots, which is the first time in the last 4 years I have had this plant, and it bloomed, bloomed a lot. 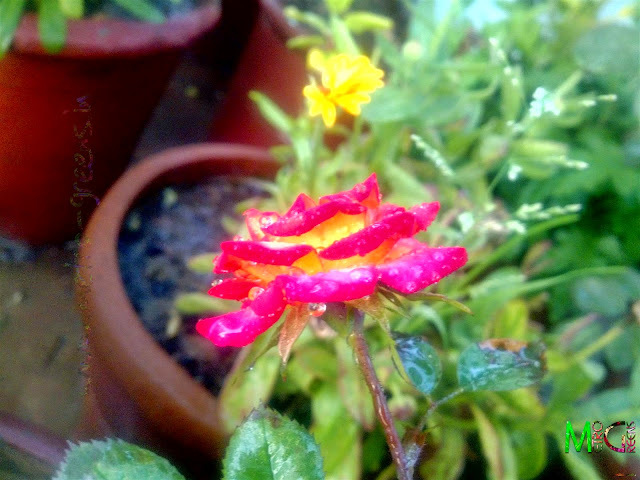 Then last winter, I brought a couple of miniature roses too. an orange one and another one in creamy-white. Both bloom beautifully, and still promise me to bloom more in the coming years. Coming up in next posts will be dahlias that bloomed this year beautifully. Something you might have noticed about the blog is the picture quality is a lot better than earlier, in a couple of photos. Well, I moved up to a dSLR. A Nikon D5200 for the sake of the photographer in me, and boy, am I impressed? Your guess is as good as my happiness. It's a wonderful piece of equipment. Though, I am yet to explore it completely, I believe it would be an experience of a kind to shoot with a dSLR. I would return with the Dahlia pics in the next post. till then keep trying and HAPPY GARDENING!